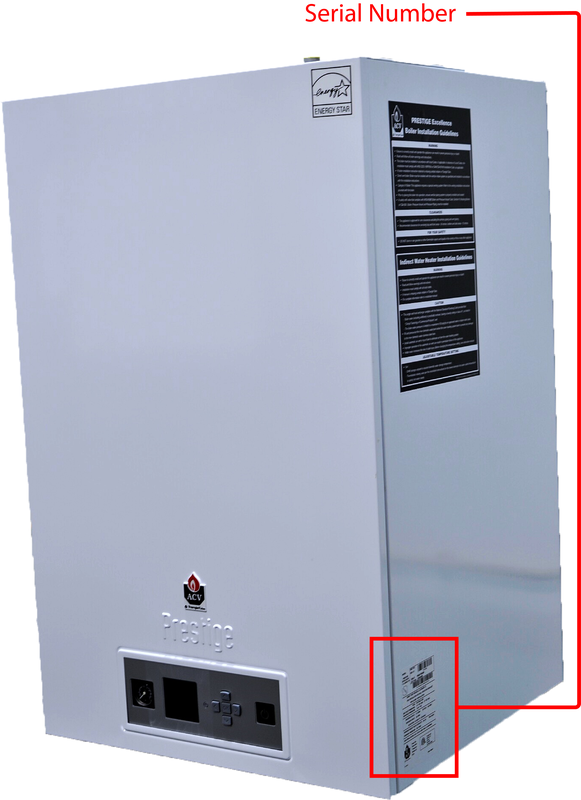 To find the serial number on a Prestige PA boiler, please look towards the bottom of the right side panel of the unit. The serial number will be PA or PEA followed by 6 digits (e.g. PA123456, PEA123456). 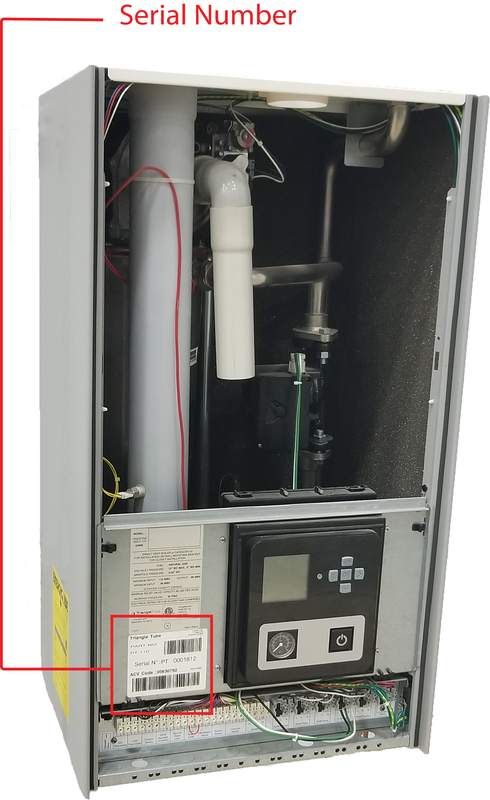 To find the serial number on a Prestige PT boiler, you must remove the front panel. Once removed, the serial number will be visible. 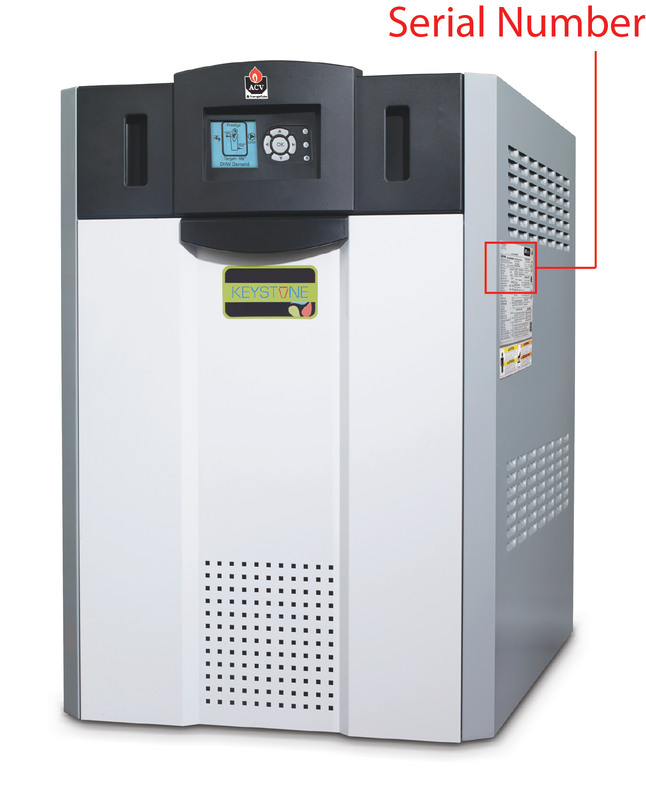 The serial number will be PT followed by 7 digits (e.g.PT1234567). 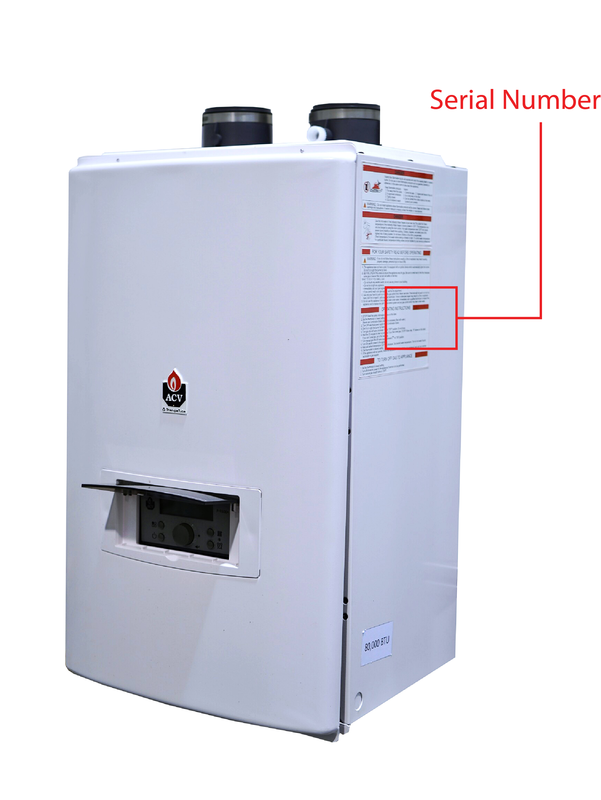 To find the serial number on a Prestige PS boiler, you must remove the front cover, then open the flap on the front of the unit. Once open, you will find the number on the bottom of the flap tab. The serial number will be PS followed by 4-5 digits (e.g. PS1234, PS12345). 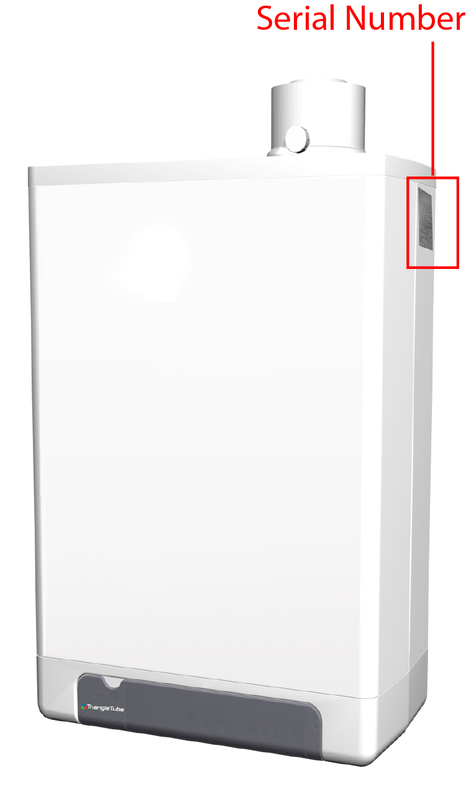 To find the serial number on the Challenger, please look towards the top of the right side panel of the unit. The serial number will be 6 digits a dash then 10 alphanumeric characters (e.g. 012345-1234A56789, 012345-1234567890). 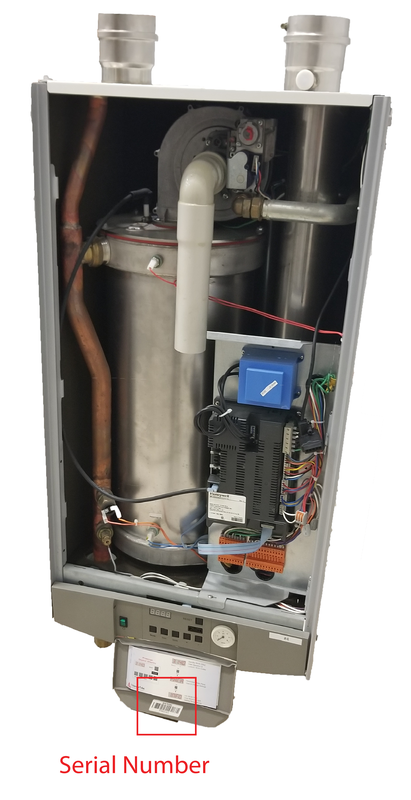 Please look on the top of the unit to find the serial number. The serial number starts with 1 or 2 letters followed by 4 or 6 digits or has 5 digits with no letters (e.g. A1234, BB1234, S123456, 12345).